Chickasha, Oklahoma – Chickasha High School’s (CHS) HealthCorps Cooking Club is hosting its 2nd annual end of the semester family dinner on December 5th, 2018 at 5:30 p.m. in the Media Center/Library. This year’s dinner will be an Asian inspired menu, which will include baked vegetable rolls, stuffed peppers, ginger miso soba soup, and an Asian salad. The HealthCorps Cooking Club is made up of 20 9-12 grade students that meet regularly throughout the semester and follow the Cooking Matters Curriculum which focuses on food groups, healthy smart shopping, and life skills (i.e. communication, teamwork, and self-confidence). 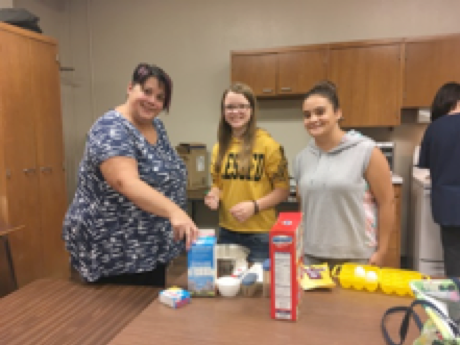 HealthCorps Coordinator Kassandra Johnston leads the Cooking Club with the help of CHS staff members such as Paraprofessional Kameron Lindsay and English teacher Ginger Gordon. 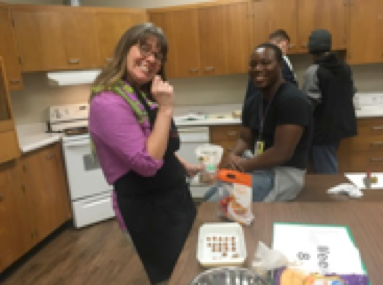 Additionally, Dr. Jeanette Loutsch, of the University of Science & Arts of Oklahoma (USAO) has helped support the Cooking Club by providing guidance for the students, donating cooking club tools/supplies, and encouraging the students to think about college. “I learned a lot in Cooking Club. 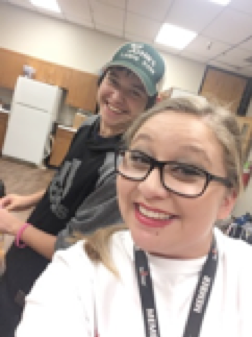 I look forward to it every week and I love how we actually get to EAT the food we make.” said CHS Sophomore Cooking Club Member, Bryan Poafpybitty. The Cooking Club started last academic year and is gaining in popularity — from Mexican chicken enchiladas to homemade squash casserole, the students learn how to measure food serving sizes and how NOT to burn a meal. Media is welcome to talk with HealthCorps Coordinator, Kassandra about the Cooking Club Family Dinner event on December 5th, 2018. HealthCorps’ Living Labs program currently operates in 10 states, including 5 Oklahoma high schools. The Chickasha High School is funded by Continental Resources.